Papergreat: Book cover: "Legends of the Earth"
Original price: None listed on dust jacket, which is odd. Provenance: (1) James W. Ellis Jr., Feb. 25 - 1995, (2) an online sale of books donated by patrons to benefit the Saline County Library in Arkansas. 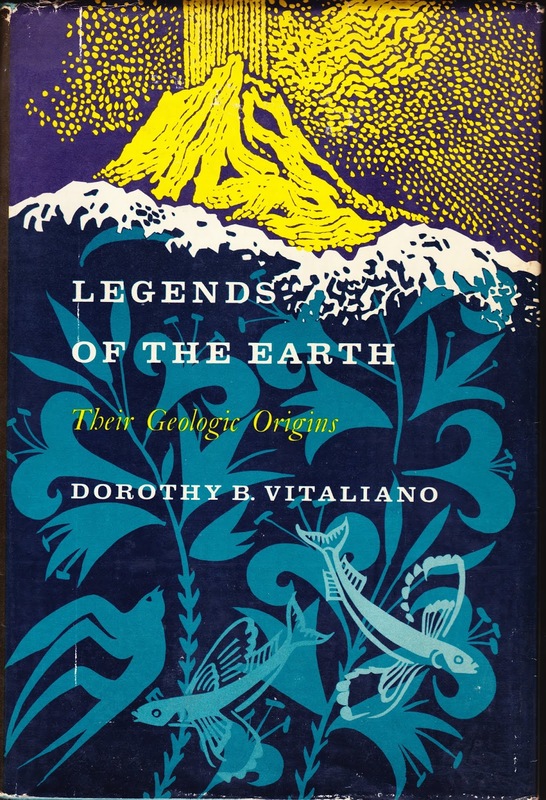 Author's dedication: "To Charles, for his infinite patience"
Dust jacket blurb: "'Geomythology' the name of a fascinating new science, is a term invented by Dorothy Vitaliano and now increasingly current among both geologists and students of myth. It denotes the study of the actual geologic origins or natural phenomena which were long explained in terms of myth or folklore." How well known is geomythology? There are only 67,200 hits in a Google search, but it does have a Wikipedia page. 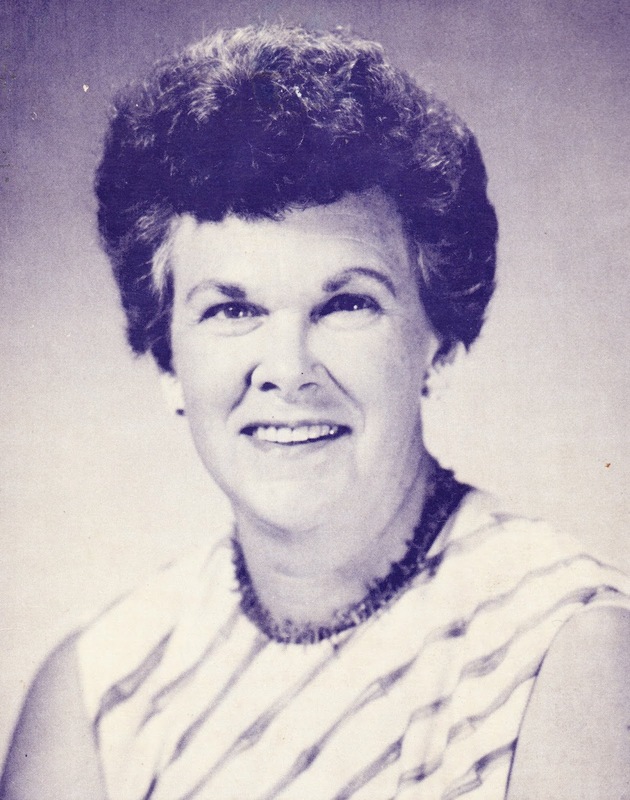 About the author: At the time of the book's publication, she worked for the Translation Center of the U.S. Geological Survey, doing technical translations in several languages. She also worked as a geologist at Indiana University. And according to Atlantipedia, the "A-Z Guide To The Search for Plato's Atlantis," her husband, Charles, was also a professor of geology and together they studied major geological events and their effect on ancient cultures. First sentence: Since childhood I have been fascinated by mythology and folklore of all kinds, and for many years now I have been professionally involved with geology. Last sentence: But is it not a delightful sport? Random sentence from middle: Pele is a very temperamental deity, easily enraged to the point where she sends floods of lava to destroy the object of her displeasure, often destroying scores of innocent bystanders besides. Sampling of words in the index: Argonauts, dwarfs, Flatey Book, Ixtaccihuatl, Knossos, Love waves, polar wobble, Quiché flood traditions, Shakespeare, Zeus. Amazon review excerpt: In 2002, Jerald R. Lovell wrote: "A most refreshing aspect of this book is its scholarship. The author totally avoids the drivel associated with such fiction writers as Whitney Streiber and Erik von Daniken." Goodreads review excerpt #1: In 2013, author Beth Cato wrote: "I found some new insights here, but the book was uneven, frustrating, and incredibly dry. It makes me all the more thankful for how creative nonfiction has evolved in recent years." Goodreads review excerpt #2: In 2013, Dan wrote: "I was also disappointed that fully one third of the book was devoted to the Santorini eruption and Atlantis. That was way too much."